For much of American history, we have romanticized the West. It was wild and untamed and it was up to us to bring it under our control (damn the people who already lived there). But even discounting the lies and betrayals offered so glibly by our government, rarely were honest, unbiased accounts of the endurance and brutal violence of life in the territories presented. Instead, there were embellishments, aggrandizing, and outright fabrications that only served to enlarge the legend of the civilizing of the West. 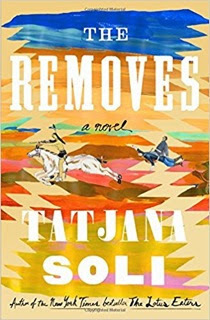 In Tatjana Soli's newest novel, The Removes, she strips bare the romance of the time and place through the fictionalized stories of General George Armstrong "Autie" Custer, his wife Libbie, and an invented character, a girl named Anne Cummins who was abducted by the Cheyenne. The novel opens with a terrifying and graphic raid where 15 year old Anne Cummins' family is killed and she is captured by the Cheyenne and subsequently marched, weak and starving, to the tribe's temporary village. This attack is just one in a long line of back and forth killings and retributions between the Native tribes and the US Army and lays the groundwork for the subsequent depredations into territories promised to the Indians. Then the reader moves to a snapshot in time showing Custer's bravado during the Civil War when his star was rising swift and sure and then to a drawing room party in Monroe, Michigan where a popular and beloved only daughter, Libbie Bacon, meets the Civil War hero for the second time. Moving seamlessly between these three characters, the narrative carries on through Anne's horrific captivity, Libbie and her Autie's courtship and marriage, and Custer's Army exploits ending only in the wake of the Battle of Little Bighorn. Scattered in amongst the chapters centered on these three are snippets from newspapers, army reports, and narration from secondary characters, that serve to round out the picture of these very human people Soli has drawn. From 1863 to 1876, Custer went from a Civil War hero to an Indian fighter, alternately praised and vilified by those in government and those under his command. He was ambitious and proud, smart and focused. He was also a larger than life dandy who, despite his great and enduring love for his wife, was a terrible womanizer. Despite the hardships of an Army life, it was really the only one that Custer was cut out for even as he had to balance his need for constant action and war with his growing realization of the emotional cost of his actions and the wrongness of the government's view of and intentions toward the Native peoples. During this same period, Libbie went from pampered society miss to loyal and stalwart army wife who endured hardships alongside her beloved husband. Her experiences living so remotely and without any of the accouterments she might have expected had she stayed home in Michigan as well as her disappointments with Custer's behaviour forged a steel backbone in her. Anne, during her captivity, endured abuse and privation with an outsized grit, intelligence, and determination, never giving up on the dream of being rescued but always surviving in the present no matter how harshly she was treated. Soli doesn't shy away from the horror of the removes, writing scenes of appalling violence that hit the reader viscerally. She also doesn't avoid the truth of the mismanagement and duplicity of the US government in its dealings with the tribes and the way that these things led directly to Custer and his fellow soldier's campaigns and actions. The sections centered on Custer, the long and slow expeditions into inhospitable lands, the interminable monotony of days and days without any Indian sightings or of the chasing after of mirages, felt as long and slow as the operations themselves. The chapters focused on Libbie or Anne were completely different in tone to the Custer chapters, more engaging but still realistic in the portrayals of possible fates of women in the West, at the mercy of others, be it captors or the US government or a husband. Soli's writing is incredibly evocative and her descriptions of the vast and expansive landscape were gorgeously done. This is an impressive and unusual Western about a time and place not often honestly portrayed and only given a brief mention, if at all, in general American history classes. 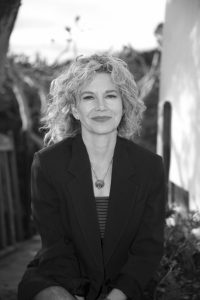 For more information about Tatjana Soli and the book, check out her webpage and follow her on Facebook. Check out the book's Goodreads page, follow the rest of the blog tour, or look at the reviews for others' thoughts and opinions on the book. If you want to see my opinions on Soli's other books, varied and different as they each are, you can read my reviews of The Lotus Eaters, The Forgetting Tree, and The Last Good Paradise. Thanks to Lisa from TLC Book Tours and She Writes Press for sending me a copy of the book for review.